You are going to Watch Galaxy Angel AA Episode 51-52 English dubbed online free episodes with HQ / high quality. Stream Anime Galaxy Angel AA Episode 51-52 Online English dub Final dish REBECCA (part 1) ~ The Angels are sent to find an escaped convict who was sentenced to a 2000 year sentence for murdering 1/3 the population of planet Transbaal 500 years ago. 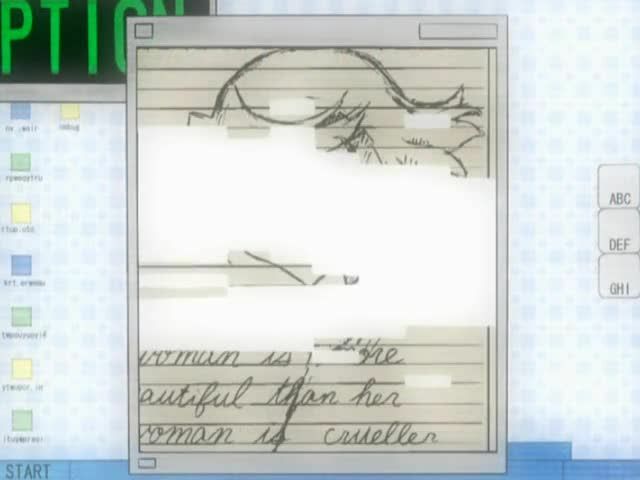 The convict’s name is Rebecca and, despite the crime she was convicted for, there seems to be no picture of her. What little information they can gather about the escape leads Forte, Ranpha and Mint to an abandoned satellite above Transbaal. Arriving, they find a recently used ship, but no life signs. After more investigating, Kokomo and Maribu inform the Angels that Rebecca was documented as being incarcerated in a cell that was already occupied. The occupant then died, but no one had ever been assigned since, leading Mint to the conclusion that Rebecca never existed and that she could have been a cover up for a military accident. Final dish REBECCA (part 2) ~ After discovering that Rebecca may not be real, Forte, Ranpha and Mint are ambushed on the satellite. Meanwhile, Milfeulle is attacked by the prison guard who stood watch over Rebecca for years. Once Vanilla disarms him, he confesses that Rebecca is real and that she led a very sad and lonely existence. After fighting for some time, Forte realizes that Rebecca is actually the incarnation of the hatred the people of Transbaal felt after their world had been set aflame. Vanilla and Milfeulle learn that the archetype for Rebecca was a young female soldier who knew the people needed a scapegoat and offered herself to be one. They locate the scapegoat’s prison (a grave) and take the casket to the Satellite. The scapegoat is awakened and cries out to Rebecca. Rebecca is shocked to see her true form and even more so when she is embraced by her. Overwhelmed with grief, Rebecca relents and vanishes. The scapegoat is returned to her prison for the remainder of her sentence. As the Angels leave they pray that the world is a better place when the scapegoat’s sentence is over and she is free once more.